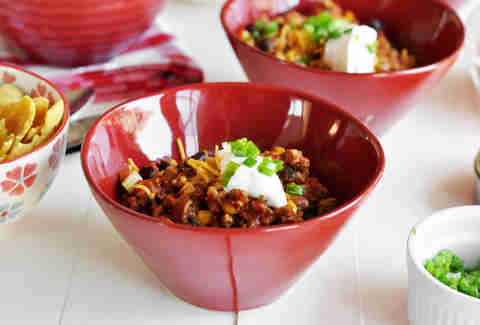 Unlike other comforting slow-cooker stews that you want when it's cold, chili is most definitely a year-round affair. You could also have an affair with chili, but that might ultimately lead to the demise of your marriage, which is a pretty big trade-off for some. 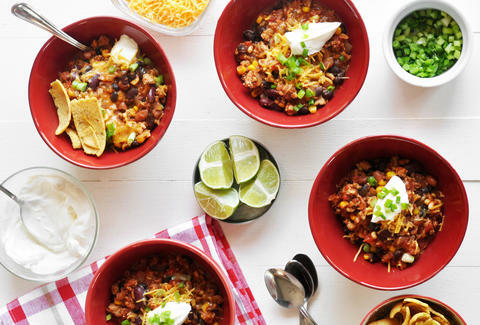 But you should definitely slow-cook up these eight chili recipes, if for no other reason than to alleviate the guilt you feel since you forced your wife to leave you. 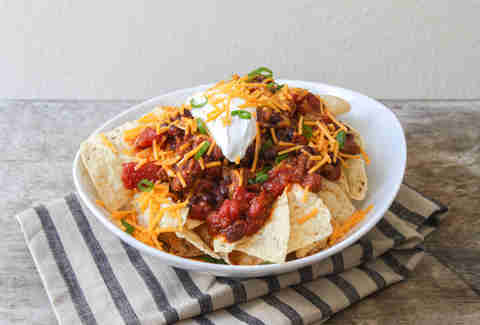 Use taco seasoning for a chili, taco, nacho hybrid. Recipe here. Add the jalapeños at the end so that the spiciness doesn't get slow-cooked out of 'em. Is this what you want? The best treatment for oft-dry ground turkey is simmering it for a few hours in a melange of tomato sauce and onions. Recipe here. 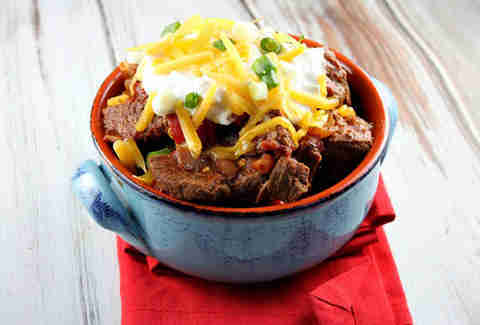 Traditionalists believe that beans have no business near this spicy meat stew. Lookin' for this gravy? 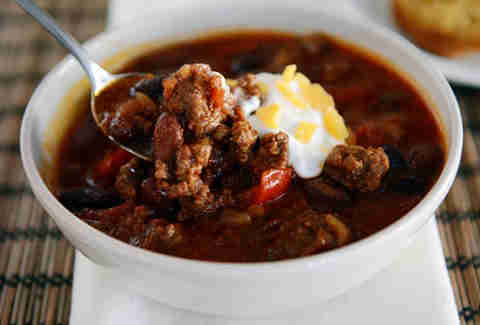 A simple, classic ground beef and bean recipe. Who says quantity has a negative effect on quality? Tieghan from Half Baked Harvest sure doesn't abide by that. Get the recipe! 3lbs of sirloin steak have never looked better. Recipe here. 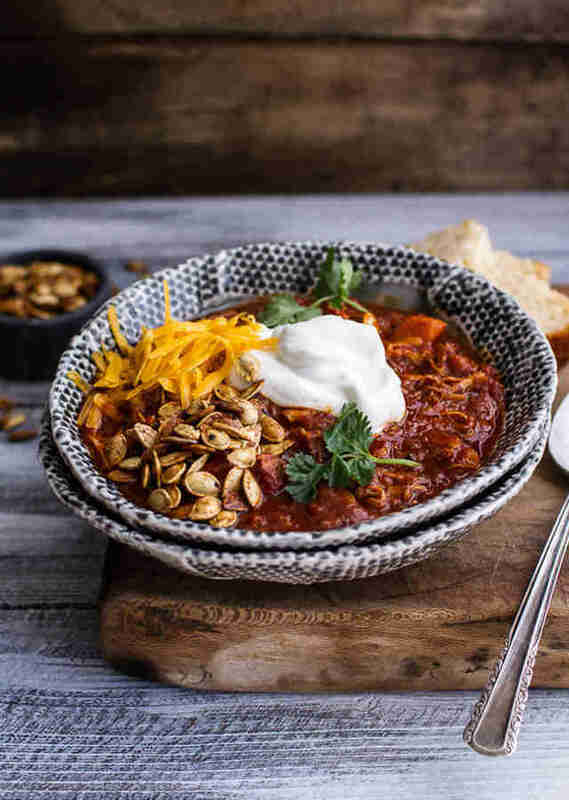 Cocoa powder, cinnamon, and sweet potato give this vegetarian chili a whole different flavor profile from regular chili so you can't even compare the two. Recipe here. Carrie Dennis is an associate editor for Thrillist and eats almost as much chili as Dave Infante. Follow her on Twitter: @CarrrieDennnis.